Kidzrock is a nationally acclaimed rock band program for children ages 4 to 7. TMSOW is proud to be the exclusive provider of this program in this region! Children learn how to play guitar, drums and keyboard as they prepare to play and sing in a real rock band concert! Kidzrock is a great way to introduce your child to music and instrumental playing. NO FIGHTING TO GET KIDS TO PRACTICE AT HOME! 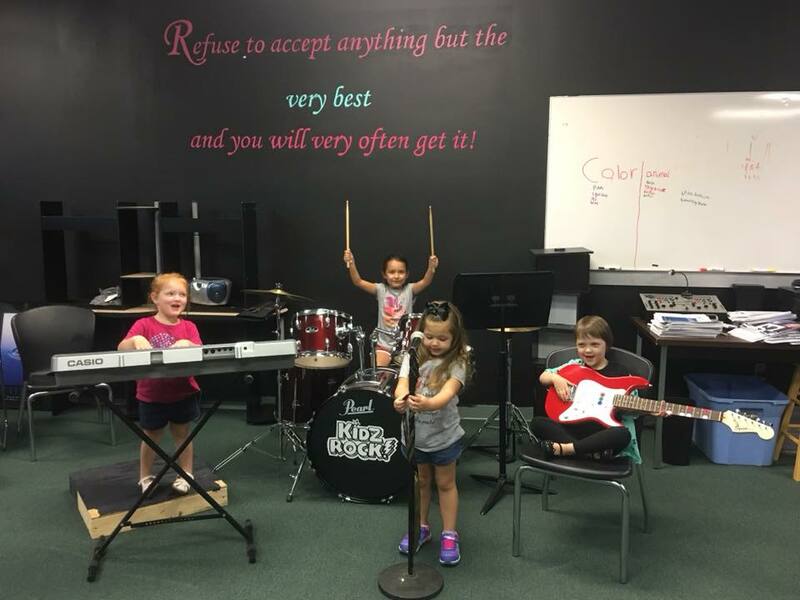 KIDS LOVE BEING IN THEIR ROCK BAND! Your child enrolls in Kidzrock. We assign them to a 4- to 6-person rock band with kids the same age or within one year. Your child attends class each week where our instructors lead the kids to learn the songs they will perform. At the end of the each 8-week session the bands play a rock concert program. What next then? 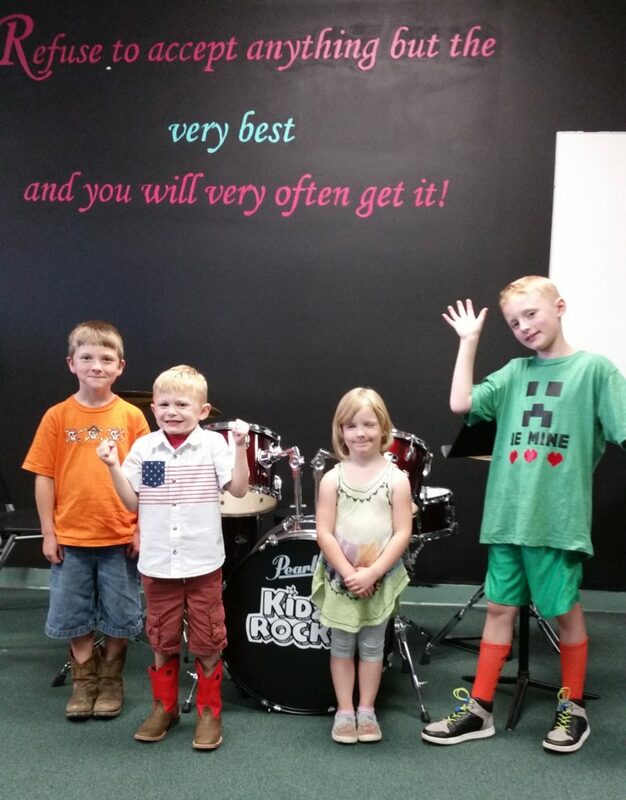 Kids continue to enroll in Kidzrock with their rock band learning new songs and different instruments. Over the course of four band sessions, your child will learn to play guitar, drums, and keyboard plus singing in the band, too!!! How cool is THAT? Join the Fun! Sign up for a Kidz Rock Band Today!